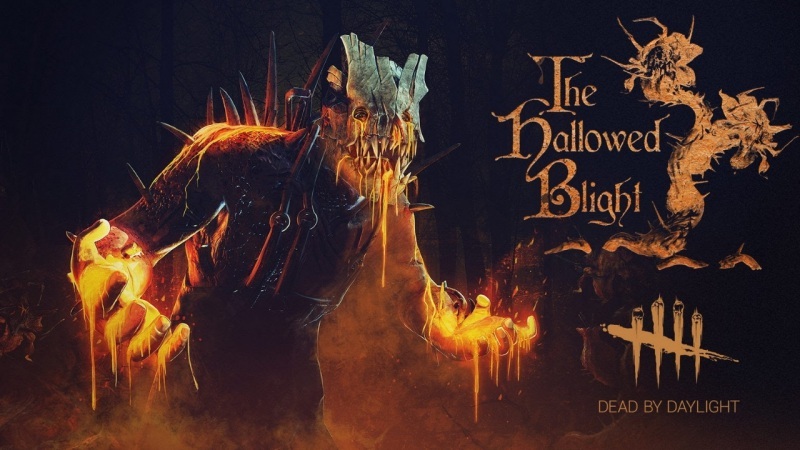 Dead by Daylight‘s Halloween event this year, called “Hallowed Blight”, is a vast improvement over the asymmetrical horror game’s previous seasonal events. By massively improving the amount of rewards available for playing, it gives better encouragement for the community to jump in and work together, but it’s not without its shortcomings. In past Winter, Summer, and New Year’s events, Dead by Daylight players could earn event-exclusive cosmetic items by completing regular in-game objectives with new aesthetic details. For example, the Summer BBQ event turned sacrificial hooks into grills, and generators into daiquiri machines. Additional themed generators and hooks could be spawned by offerings put forward by players before matches. Hallowed Blight sees this established event formula getting a major overhaul. While offerings can still be earned and offered before matches, both killers and survivors have new objectives to tend to, and a much larger pool of rewards to seek. 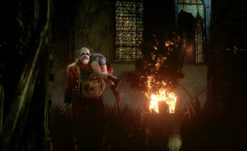 For the duration of the Hallowed Blight event survivors and killers can earn Putrid Serum from venom sacks and by hanging survivors on cancerous hooks respectively. Once earned, Putrid Serum can be exchanged for a number of cosmetic items for multiple killers and survivors; a vast improvement from previous events rewards of one fixed item per survivor and killer. The items themselves, themed around the corrosive Putrid Serum, are actually quite cool, and you can check them all out on the official Dead by Daylight website right here. The problem with the event is the actual implementation. The sacks survivors harvest Putrid Serum from aren’t also functioning generators as they have been in previous events; they’re an entirely separate objective. This is a design choice at odds with the Cancerous Hooks that killers use to harvest Serum from, meaning that while killers can harvest currency by playing their objective, survivors can only fill their vials by ignoring their primary objective. As someone who primarily plays killer, this has made games noticeably harder for survivors lately. Another major problem with the event is the vial system itself. Survivors and killers each have a new vial on their HUD that slowly fills as they harvest Putrid Serum. When the vial is full, no more Putrid Serum can be harvested for the rest of the game. Vials can thankfully carry over between games, but even then, I’ve found my vial full after hooking one survivor in a game full of hooks I was then unable to take advantage of. Contrasted with previous events, where each hooked survivor or repaired generator netted players one currency, and Hallowed Blight feels much more like a grind. Couple this with the fact that every single Hallowed Blight cosmetic item costs ten full vials, and casual players will be forced to pick and choose which one or two items they want to work towards. I’ve probably played upwards of 100 hours of Dead by Daylight in the last year. In that time, I’ve fallen in love with the game’s deep gameplay customization, but I’ve always been disappointed in seasonal events when compared to other multiplayer favorites of mine like Overwatch. Hallowed Blight represents a smart shift in Dead by Daylight’s event style that rewards dedicated players and gives more reason to partake than ever before, but its far from perfect. I hope future events allow Behavior Interactive to iron out gameplay imbalances, and give even casual players a chance to earn all the coolest gear on offer. Dead by Daylight’s Hallowed Blight event is currently live until November 2nd. Get it while it’s hot.